Boston based jewelry designer Amy J. offers custom, handmade jewelry in sterling silver and gold. Current collections include beach glass and subway token. In addition to the collections, custom and commission pieces are available. For custom pieces contact Amy J for pricing and scheduling. 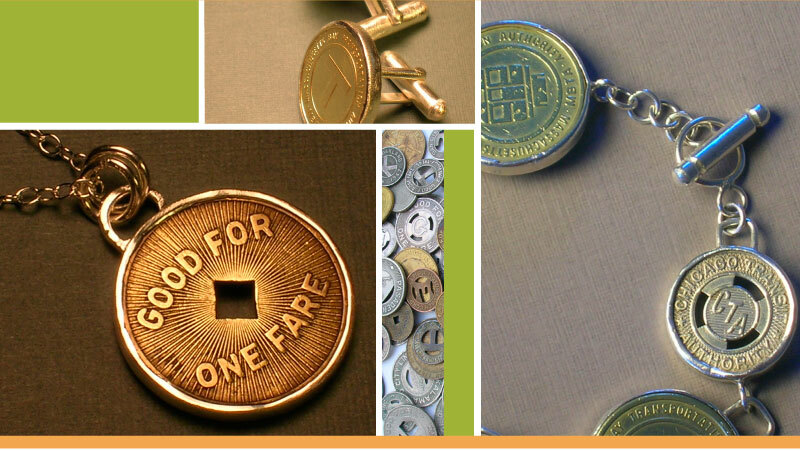 Boston based artist Amy J. transforms ordinary objects such as sea glass and subway tokens into beautiful pieces of jewelry.